Jaded Blossom: Valentine's Day Treats! 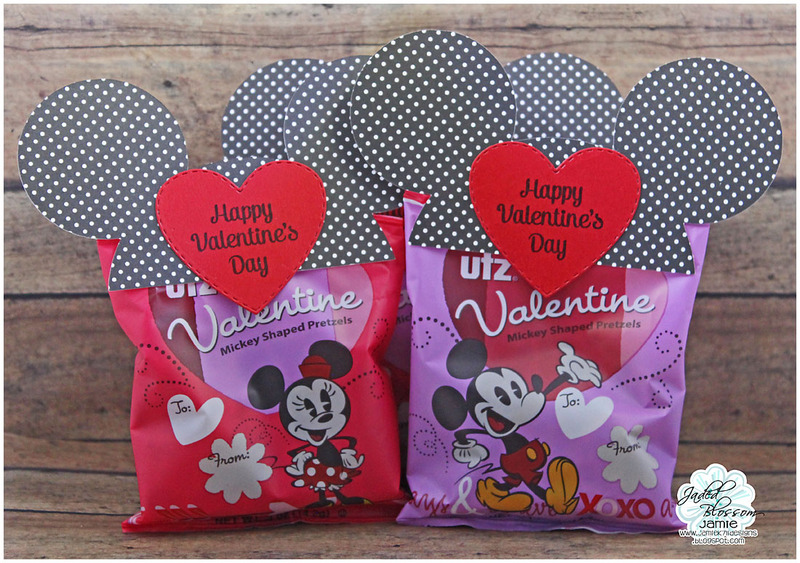 Jamie her to share some Valentine's Treats I created for my Son's class! My 1st grader has his Valentine's Day party this Friday and they only wanted "healthy" treats... 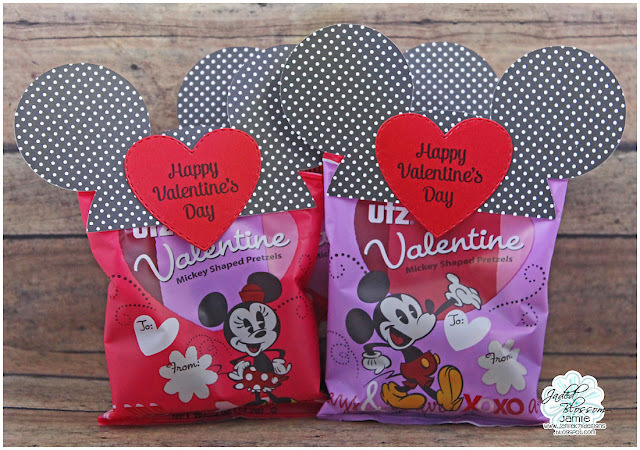 So I found these adorable pretzels at Target and they are the shape of Mickey's head! I traced an image I found online to get the shape for the ear topper. Then I stamped a sentiment from Spring Sweet Treats onto a Heart Die 2! These are seriously to cute!!!!! Those turned out so cute! 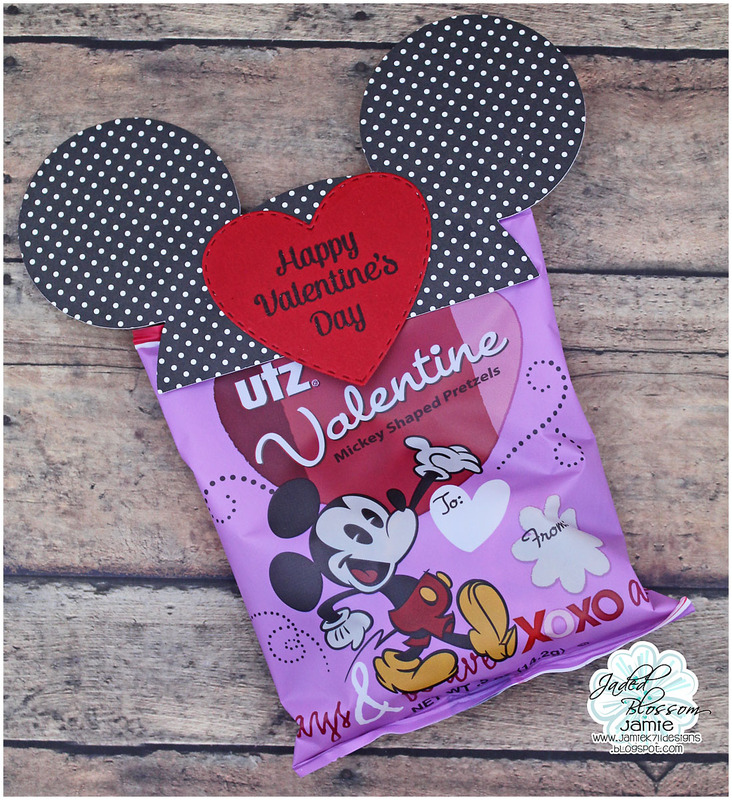 I don't even really like pretzels but seriously who can resist Mickey shapes!